Is the question I’ve had during the last weeks. While I continue to gather all the information for the analysis of 2012 results, a lot of doubts and questions come to me regarding the future of Fiat-Chrysler alliance. I’ve been a close follower of car industry and it has allowed me to have an idea of how interesting it can be, but at the same time how hard it is when it’s about competition. Cars are becoming just another appliance as it gets easier to buy them, to use them and to get rid of them. That’s why the industry moves faster now as more and more people around the world buy a car. No matter if there are specific crisis, the trend is that the demand grows in those developing countries while it evolves in those developed ones. But at the end all consumers make part of a global market that changes everyday with more and more challenges ahead. In this context all car makers need to work fast not only to expand their business but to survive as competition gets tougher and the possibilities to do wrong tend to disappear. 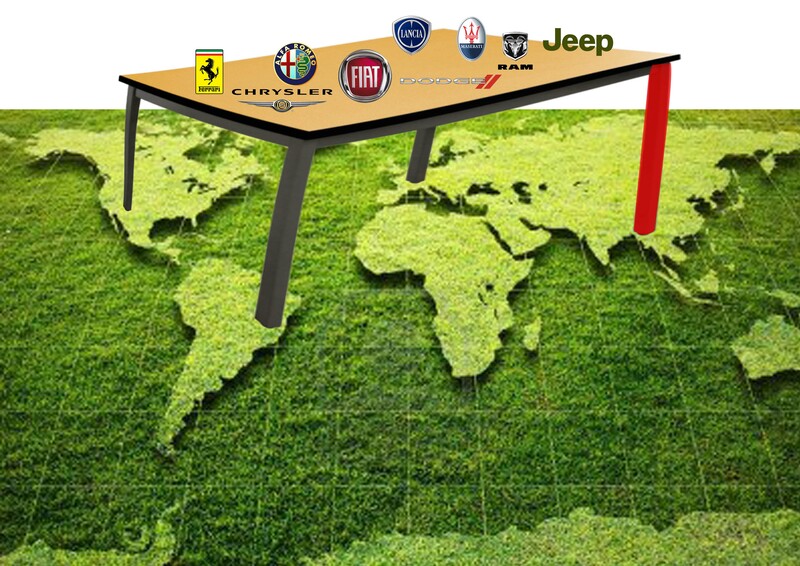 A 3-leg table won’t be enough in the next years if Fiat wants to survive as an independent car maker. The future of all brands of the group depends now in the ability of finding the right partner in Asia, where the group has a weak position. Last year was not easy for Fiat. Its traditional market dropped dramatically and went back to the 70’s levels. Other European markets did also bad affecting not only Fiat but its direct rivals from France and Germany. But Fiat had even more problems: the continuous battle with its labor unions has become an endemic disease that affects its production levels and competitiveness. One more problem is the lack of new products as a consequence of investment cuts in Europe. The goal of this article is not discuss about current Fiat problems but to define whether or not Fiat is staying behind in this automotive race. It stopped from being European leader back in the 80’s to struggle to be part of European top 10 manufacturers last year. And it is not only a matter of Europe and car registrations. Fiat is one of the few car makers without a strong presence in Asia and even though it is working hard with its comeback to China, it still depends on a weak Italy and a more challenging Brazil. After the acquisition of the majority of Chrysler Fiat added one more leg to its two-leg table (Europe and Brazil) so it could breathe ‘calmly’ in 2010-2012. But the market goes that fast that now Chrysler is not enough to survive and once again Fiat faces really hard times. Last week two news confirmed that future perspectives for Fiat are not good at all. 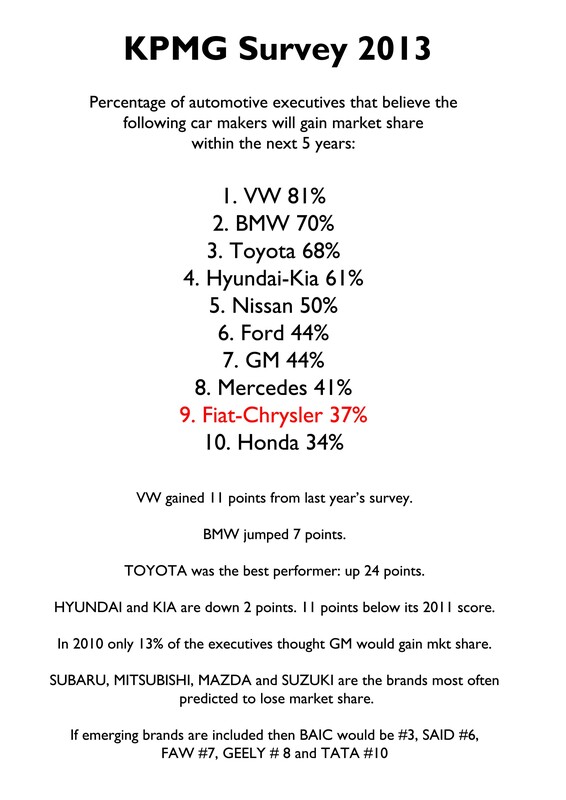 First of all analysts expect Fiat and PSA to be the top losers in Europe 2013. 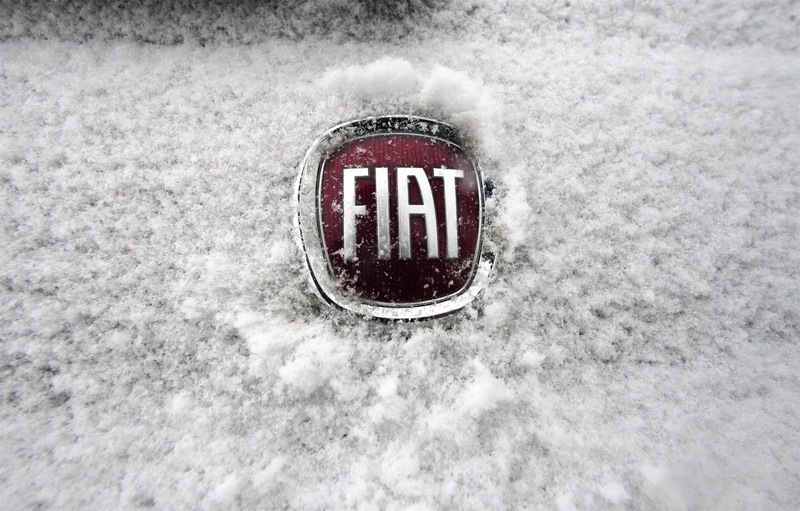 Fiat’s registrations had already fallen 40% compared to 2007 figures. The reason for more bad months is explained by the fact of its strong dependence on Italy and the lack of new products. Then came the KPMG survey which indicated that only 37% of top automotive executives believe Fiat and Chrysler will gain market share in the next five years. On the other side there is VW which ranked first with 81%. The fact that analysts and executives of the industry predict even worse times for Fiat shows how difficult the situation will get for it if things don’t change for good. But it is not only a matter of what they believe. There are several examples that anyone can notice from what happens in the market. When getting to a new segment Fiat is late most of the times and therefore it is difficult for it to become the leader of a particular segment. The best example is what happens to the 500L and its future SUV version. Fiat took almost 5 years after the launch of the regular 500 to make use of the success of the small car and then it was late in the segment as French, Germans, Japanese and Koreans were already there. 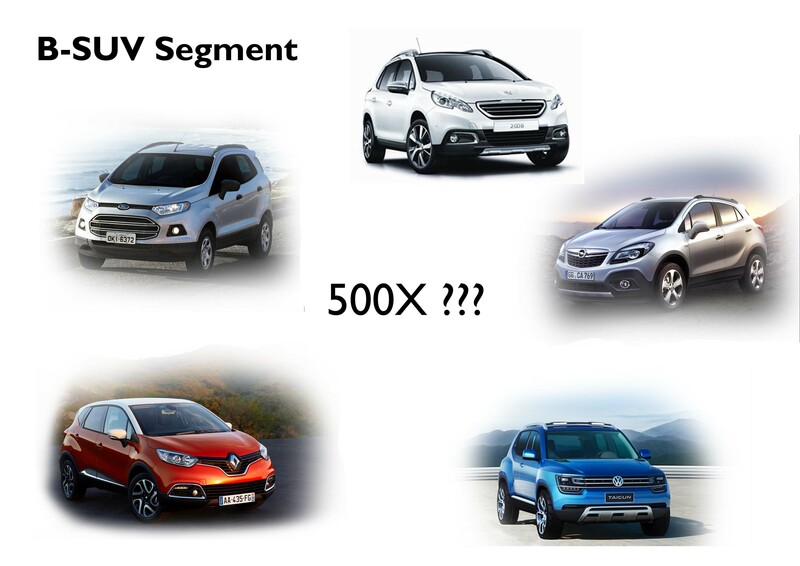 The same will happen to the 500X, which will be certainly an excellent product but by the time it will be introduced the Mokka from Opel, the new Renault Captur, the Ford EcoSport and the Peugeot 2008 will be ruling. The fast growing small SUV segment is getting full of options coming from everywhere except from Fiat. How long will Fiat take to launch the 500X for Europe, USA and Brazil? Someone could say it is a matter of money. But that’s not the case. Fiat is not as big as VW, Toyota or GM, but it has plenty of cash to develop new models and expand its business. But the problem is that Fiat and its brands are going to slow, so when Fiat steps forward, its rivals are far away from that point. In the last years Fiat, Lancia and Alfa Romeo stopped making sedans and station wagons and their presence in higher segments disappeared. The case of SW is particular hard to understand. This kind of cars are not the most popular but Italy is one of the few markets where the SW are still popular and sometimes even more than the sedan versions. Fiat is the absolute king in Italy but it is the only major car manufacturer not to offer any SW neither in the D, C nor B segment. The same happens to SUV segment, which accounted for about 12% of European sales and 16% of global sales*. Now it offers the Jeep brand but a buyer in Brazil or Europe, which is not used to hear about this SUV brand, can not count on Fiat, Alfa Romeo, Lancia or Maserati, if he or she wants to buy a SUV. In terms of markets the situation is pretty similar. Besides the dramatic case of China and the fact that in 2012 Fiat would had sold around 20.000 cars when VW sold more than 2 million, Fiat’s position in other major markets is not good at all. There is no presence in fast growing markets such as Indonesia or Africa. In those areas where it is strong it is more because it depends on few countries: Italy in Europe and Brazil/Argentina in Latin America. But if one goes to Switzerland or Croatia, which are located close to Italy, then Fiat’s share drops. The same for Chile, Peru or Colombia in South America. Or why have they took so long to establish properly in Russia and India? Why does it take so long to relaunch Alfa Romeo? why not to launch something really innovative when the old concept did not work? if second generation Ypsilon was a product that only worked in Italy, why did they repeat the formula for the third generation launching a new car without any specific added value that would only work in Italy? or why not even one concept in the auto shows? too many questions and one reality: if Fiat does not work faster and finds an Asian partner to complete its table fourth-leg, then producing 4 million or even 5 million cars won’t be enough in the next couple of years. The group has an enormous potential with its mythical brands. It has the best automotive CEO and a glorious history. Therefore it deserves more and better work. I totally agree with you. For Europe it is absolutely necessary for FIAT to bring the next generation Punto with top level characteristics (remember 2005, Grande Punto was better in any aspect from any other competitor) after the 100% failed facelift in 2008 and Alfa Romeo needs a deeply refreshed MiTo and the next 159 at least to save Giulietta, a truly worthy car, from extinction! My Bro, they also need cheap convertibles like the Fiat Barchetta, Alfa Spyder and coupes like the Alfa Breras or GT. The 500X is right now a good decision. Europe need also the new Bravo and the Delta like on the new Plattform of the next comming Chrysler 100. Convertibles and sport coupes are important, but I would argue that they are LESS important than sedans and wagons — the volumes would be far smaller, and Alfa and Fiat need successful volume models at this point. Dobbiamo tener presente che Marchionne durante l’esposizione dei risultati del terzo trimestre 2012 disse che la Fiat non sarebbe andata più oltre il segmento C. Quindi non ci dobbiamo meravigliare se non verranno presentate macchine a marchio Fiat oltre quel segmento. Altra storia è per Alfa Romeo, Lancia e Maserati. Comunque la Fiat 500X sarà in vendita a partire da aprile 2014. It;s difficult to evaluate present Fiat situation when we know they ‘lost’ 3 years and a lot of money to buy Chrysler and bring Chrysler to the point of today. Fiat also invest a lot of money in Brazil and China. Then Europe was practically left for better times, especially in deep crisis situation. Of course we still can talk about mistakes (no Bravo SW, Ypsilon based on small plartform). But full picture of Fiat we will see and know in 2015-16 when they complete present investement and model range program plus Fiat will provide details for 2016-2020. With Chrysler merger, their RWD + Penthastar technology, vans + SUV experience, Jeep brand and access to US market, I’m much more relaxed about the future. Fm Fiat side – Multiair and Multijet plus TCT dual clutch gearbox technology, Masearti expansion, Alfa Romeo brand, ‘500’ sub-brand worldwide success and much better results in terms of reliabilty. Finally entering China market and other markets step by step. All above allow to belive the future is not gloomy and Fiat-Chrysler should increase market share. Can’t belive they will not manage to do it starting fm such low entry point. Thank you very much for your comment. I agree with you. Current times are not the best to evaluate a whole company. Certainly Fiat did very well by buying Chrysler and taking it to what it is now. Only good people and hard work can make what Fiat made with Chrysler. The group has plenty of good things such as the ones you mentioned. Not only in terms of engines or platforms, but in terms of brands diversity and the particullar ‘made-in-Italy’ touch that can’t have any of its competitors. Yes, they are working hard to enter China and other markets but my question is if they are doing it at the right speed. Sometimes is not enough to make the right things but to make them on time. I agree with Juan Felipe with the question of speed: looking at Fiat and Alfa Romeo (in Europe), the 2013-2015 product plan only contains four full new models or redesigns: 500X, 4C, Giulia and Roadster. Maybe the Viaggio will appear as an unexpected bonus? Sorry, but this isn’t true. Workers in Italy are often in temporary layoffs. So how they can strike if they are at home? I did not say there were on strike. I’m talking about competitiveness, which includes many other things besides going on strike. Today they might need them to re-launch the brand and future expansion and like you said the market is changing too fast! Plan done today in six months can change due to unpredictable factors. In few months we will know what the court thinks about 20% VW in Suzuki. We’ll see if the agreements between mazda and fiat will stretch on the B segment and more. If needs to buy the whole package from veba or put 40% on the market. 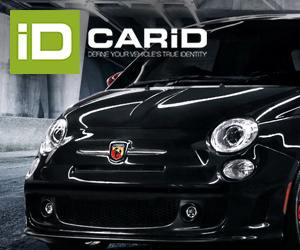 Fiat has made ​​a huge step with Chrysler and this is undeniable, now seeks to recover in the markets today count. The road is long and made of ups and downs but with its brand portfolio looks more hilly. The shortcomings of the group today are daughters of past. And the worst thing is that the errors are still the same! many thanks to guys like you who spend their time in-depth analysis so well done. One more time mucha mucha mucha suerte Juan. Muchas muchas gracias ‘Ardit’. You certainly mention very good points: the future of the alliance, the possibilities of more cooperation with Mazda or Suzuki, the dilemma Fiat has regarding the fact of using or not its cash to buy the remaining 42% of Chrysler. I think we’ll have Marchionne for long as he has not completed his work yet and he’s certainly a great CEO. Yes, the road is pretty hilly but if the good things are made at the right time, then Fiat will be able to be one of the few major car makers in the next decade. I love car industry and I am really passionated about Fiat and everything that happens to it. @Ardit, I have to repeat one of your quotes: “The shortcomings of the group today are daughters of past.” So true! With regard to VEBA, if they push for the IPO, it will take Fiat far longer to acquire anything close to 100%, and cost much more. I wonder if Marchionne should consider pushing for a full merger: swap each X shares of Chrysler for Y shares of Fiat. It would provide immediate access to Chrysler’s cash flow, but it would likely dilute Exor’s ownership to below 15% — might not be acceptable to the Agnelli family. thysi I don’t know what will be for them. I think this is the first question..and the answer in changing every six months..Nowadays you can get incredible chances and i’m sure they want to catch them..i hope it! First great topic Juan Philipe. This is what every Italian car fan is frustrated about. However I agree with antek and Ardit. One cannot simply read into market share in isolation of the serious and long lasting mistakes made in the pre-Marchionne eras AND considering what FGA has achieved with the Chrysler acquisition. Although EU market share has reduced dramatically, the groups global market share has increased more than that loss thanks to Chrysler. Also consider that Fiat lost “loss making” share from EU and gained “profitable” share in the US. Which is healthy. I think we all know about the difficulties in the EU market as well as the problems with the Italian factories so it was logical to focus on the US at the expense of the EU. I don’t think Fiat are/were slow out of habit or accident like before, but they delayed everything on purpose. Looking at how fast they are handling things in the US (Jeep GC is already facelifted after just 03 years), I think it will be the same in EU when the focus on new models begin. And still in spite of all this they gave us 5 new cars – Maser QP and Ghibli, Panda, 500L and 4C. It will be very interesting to see how and when Chrysler will be 100% acquired. I think it would be wise for Fiat to secure it before and IPO. After that it is very likely that new models will flow without delays. Objectively looked at Fiat before Chrysler had very little hope of long terms survival and might have been a takeover target itself. Alfa might have been German owned by now. Yes. They are missing out on Asia big time. They need to aggressively move in and establish their presence. Small sedans (C-segment), SUVs and city cars is the way to go for the Fiat brand. Kubang and 4C today are only mockup presented in showrooms. We need they go on sale, with more products like a new C-hatchback/sw/cuv and a new Punto sedan. Otherwise in the future Fiat will be only a Chrysler’s brand and nothing more. Alfa Romeo Giulietta SW, now! I know the project is halted. Totally agree: the awesome Giulietta needs a SW version as soon as possible. Grazie. I love cars and Fiat is part of them. You’re right, things could be worse for Fiat now if it wasn’t because of their good financial decisions. However they should adapt their business to the reality: Europe won’t get pre crisis levels in the next 5 years. New models should help Fiat to stop losing market share. The nice and original 500L is one of them. Hope you get it and tell me your impressions. Ciao ciao!